1. Cut two pieces of craft foam into identical sized squares. Using an exacto knife, cut geometric shapes out of the middle of one piece, leaving at least a thin border all the way around the outside. Mount one on top of the other using spray adhesive. 2. 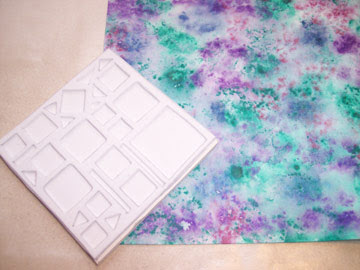 Paint a background piece of cardstock or watercolor paper with thinned acrylics. Let it dry thoroughly. 3. 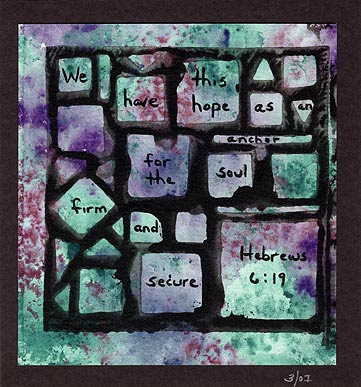 Use a brayer to roll out either black acrylic paint or ink on a piece of waxed paper. 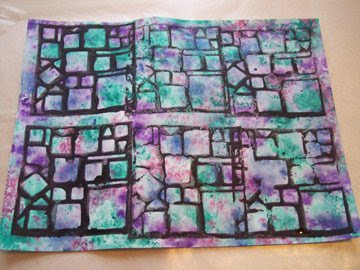 Use your craft grid like a stamp, making as many impressions as you can on your painted paper. Let it dry. 4. Cut out a grid that you like, and mount it on black cardstock or matt board. 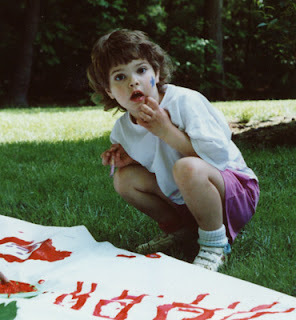 Finish it off with a quote or images of your choice.